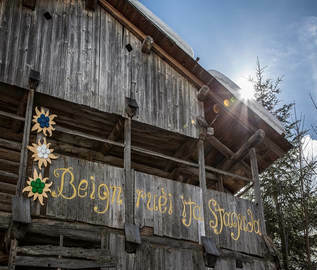 It gives us a rare opportunity to visit an open-air museum where time has stood still: wherever you turn, Sottoguda has something special to offer, and its charm makes it one of the hidden gems of the Dolomites. Every corner of the village, starting with the paving created by skilled local craftsmen, is testimony of the deep bond these villagers have with their environment and shows their passion and workmanship when working with local materials: iron, wood and stone. Surrounded by the unspoiled landscape of the UNESCO Dolomites. 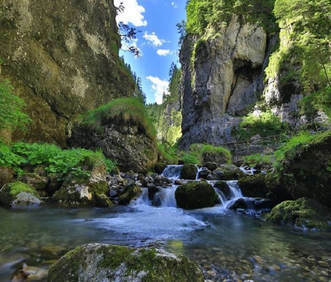 A masterpiece of Mother Nature carved out by water over thousands of years, up until the Sixties the Serrai canyon was the only way to get to Malga Ciapela. Today the canyon is a fascinating and stunning Natural Park, a magical place for the young and old alike. As you walk through the canyon, you will see the protected larch tree with its roots clinging to the rock below, the tunnels of the first World War, the cave of the Madonna, Sass Taiè, the church of Saint Anthony and numerous waterfalls which become ice cathedrals in the winter. In the background towers the Marmolada: if you continue, you will get to the idyllic and lush pastures of Val Ombretta which lie at the foot of the towering silver south face, 3 km wide and more than 1000 metres high. The north face of the Marmolada is home to the largest glacier in the Dolomites and the highest museum in Europe, dedicated to the First World War which was fought in this incredible setting. Following the exceptional weather events of October 2018, the access to the gorge is wating to be restored. Sottoguda has a centuries-old tradition of wrought iron: it was extracted from the Fursil mine in Colle Santa Lucia and used to produce everyday tools in the early 1900s. The fèr da l aniél (called the “lamb’s iron” after the coat of arms of the Principality of Bressanone) was also in great demand for weapons like swords and arrows because it was exceptionally malleable. The tradition of artistic wrought iron began in the Twenties, thanks to the skill and unmistakable style of the De Biasio brothers. After an apprenticeship in Val Gardena, the young Carlo returned to Sottoguda with his brothers, Fredo and Pippi, but due to hard times following the war, he had no models to copy; so he turned to the wonderful natural environment around him for his inspiration; he produced butterflies, flowers, ladybirds, wood grouse, owls and imaginary dragons with incredible creativity. 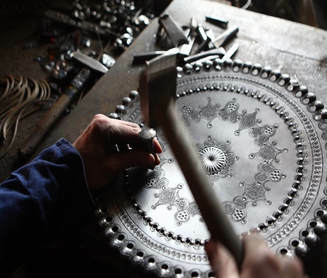 This craft has been passed down from generation to generation and unique, one-of-a-kind ornamental objects are for sale in the workshops in the village of Pian. One of the workshops is open to the public for guided tours. Built to house the haymaking harvest, the tabièi (hay barns) are a fine example of Dolomite architecture. The local farmers kept an eye on the trees in the woods around the village then, when they reached maturity, they would select, fell and transport them down the valley, using the best wood to build their hay barns. When the builders finished their work, in silent agreement nature added its finishing touch to the barns, with the incessant sun and rain turning the larch planks into myriad shades ranging from pearly to golden red. This makes each barn one of a kind. Hay and cereals were stored on the typical palanzìn (balconies) which are today lavishly decorated with coloured flowers. Another feature which catches the eye are the stockpiles of wood, whose creative and clever arrangements make them temporary little works of art, ready for the winter when they warm the sitting rooms (stue) with their typical fornél (stoves) made of refractory bricks and decorated ceramic tiles. Wood is still crafted in the Artigianlegno workshop in Sottoguda, which creates sacred and secular sculptures, gifts and jewellery decorated with Swarovski crystals. 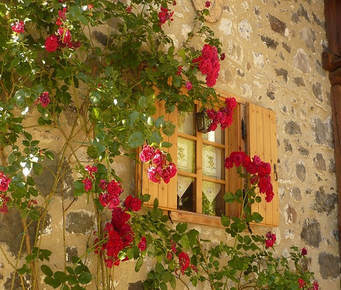 ​It is the inhabitants of a place who give it its spirit, celebrating what nature has to offer and making it special. 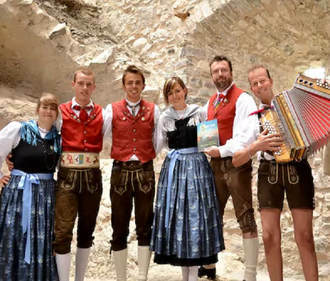 Sample the customs and traditions of Sottoguda and listen to the mesmerizing musical sounds of the Ladin language, spoken in these valleys for thousands of years. Another thing you must not go home without trying is the local cuisine, with its ancient recipes handed down from mother to daughter. Traditional savoury dishes include casonzì (filled ravioli made with rye flour), foiède (coarse-cut tagliatelle made with rye flour), bale (boiled dumplings), menestra de orz (barley soup), polenta and the all-present rèf (potatoes), tirkle (filled fried disks) and cheeses produced in the local diaries. Typical desserts prepared for special occasions include fortaie (curly fried pastry served with cranberry jam), fiorostide (angel wings), tortì da pom (fried apple rings) and a host of other delicious specialties you can enjoy in the summer at 'Na sera da zacàn', Ladin-style Thursday evenings, or other local fairs.